To assist Members build businesses that are well-equipped to cope with the modern era, we are pleased to announce that access to marketing and social media advice is available with The Real Estate Hotline as part of your membership with EAC. The Real Estate Hotline can provide you with marketing and general social media advice to help you build and strengthen your local and online profile. Members can also receive a 30 minute health check on your social media presence and online profile at no cost. Should you wish to engage the services of the Real Estate Hotline to assist you in implementing suggested strategies, you can engage them directly and you will receive preferential pricing on some services. The Real Estate Hotline is run by Lisa B. Lisa has been working with EAC as an Industry Reporter since 2016 and you may of read some of her articles in our newsletters, website and social media. 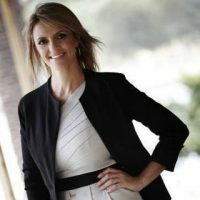 Lisa has had regular columns in various real estate publications and has appeared in marketingmag.com, socialmediawoman magazine and Marketing with no money. Lisa has also co-authored a book called Real Estate Millionaire and this year released the best selling book Secret Agents: How the top real estate agents list more, sell more, & dominate the market. She also runs the successful Facebook Group – Let’s Talk about Real Estate. Lisa specialises in marketing for real estate agents. She combines her knowledge of being a real estate principal, her long career in real estate and her online marketing expertise to give you a holistic perspective to building your online business. This support service builds on the benefits provided by EAC Membership which includes legal advice from Jemmeson & Fisher Solicitors and Accountants and business advice from CCE Consulting and Training. To talk to The Real Estate Hotline or to arrange your 30 minute health check on your social media presence and online profile call 1800 001 182 or EAC on 1300 137 161 and we will put you through. To learn more about the benefits of being a member of EAC or to find out about the other ways we can help you grow your business speak to a team member on 1300 137 161.